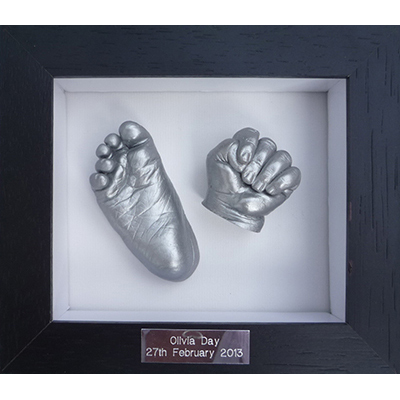 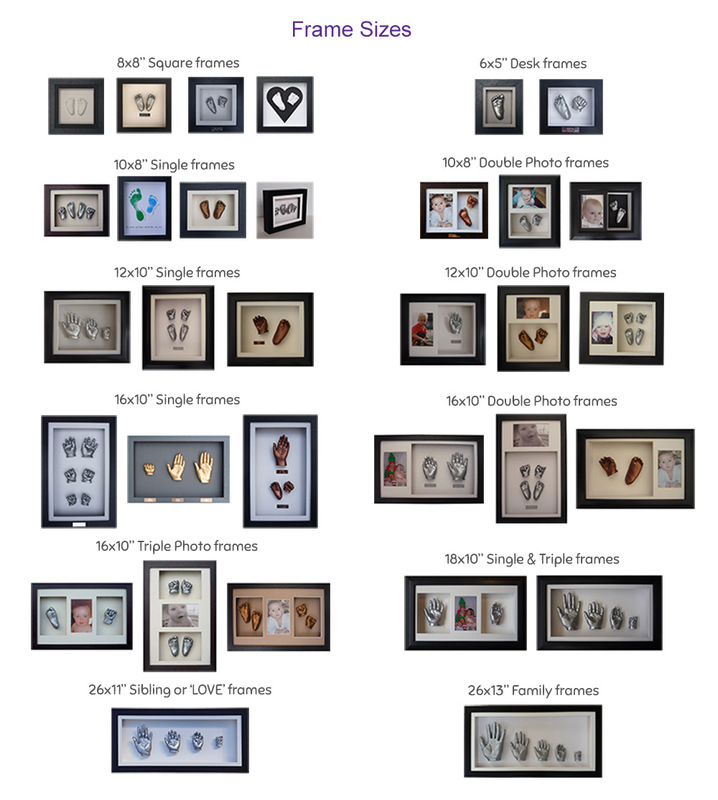 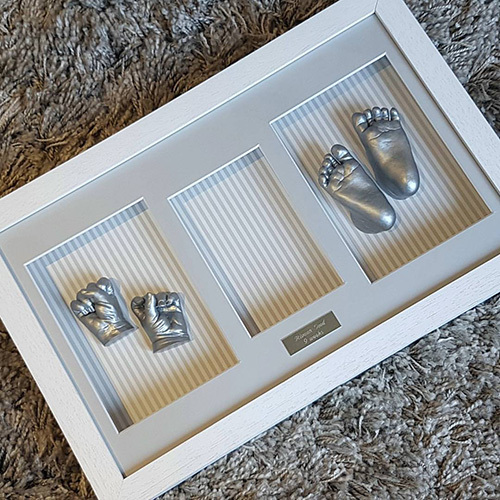 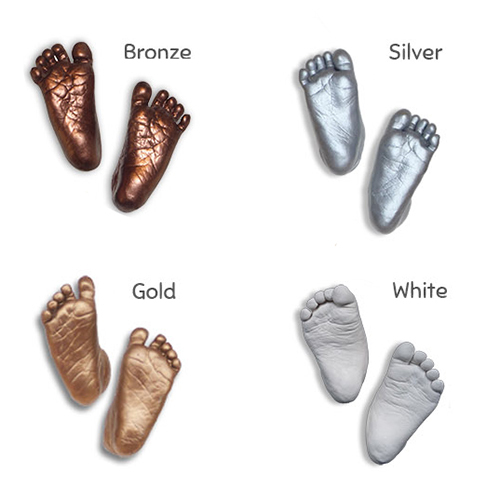 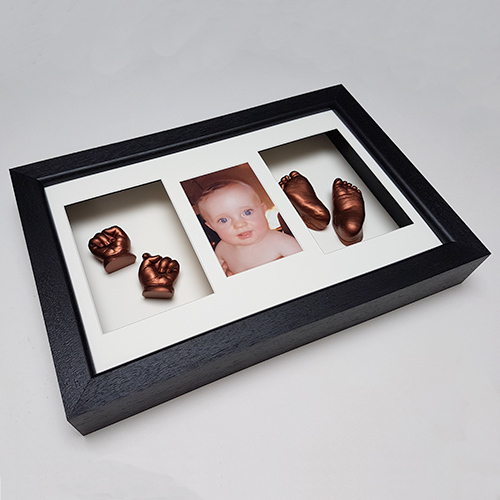 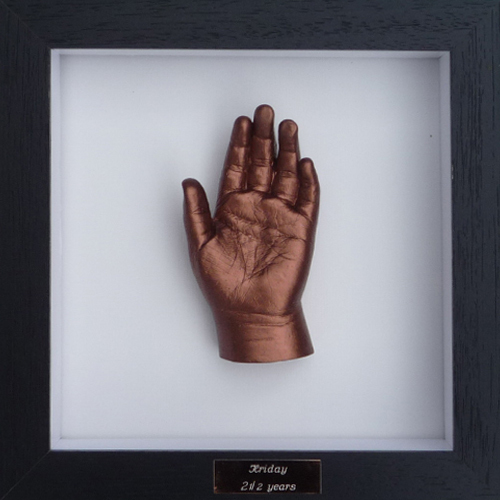 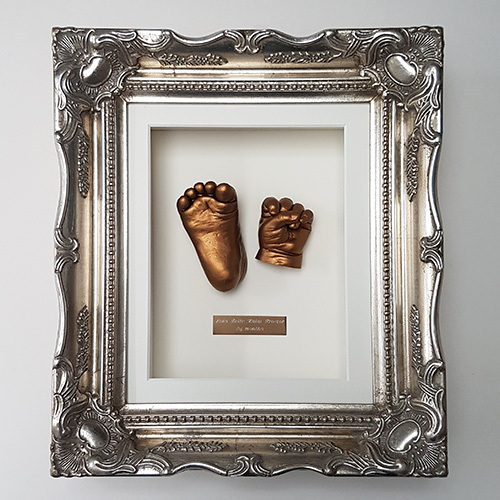 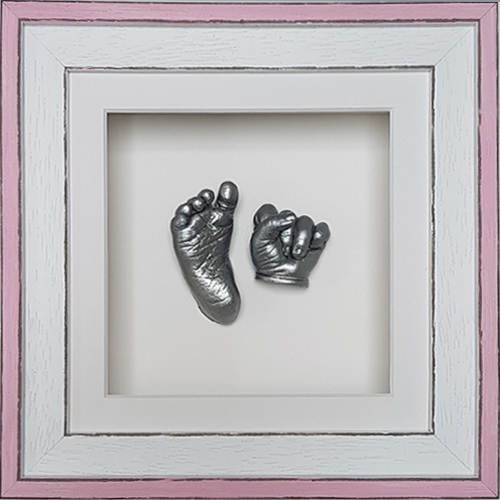 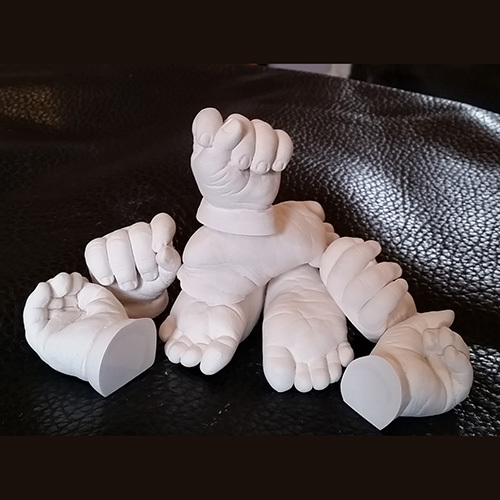 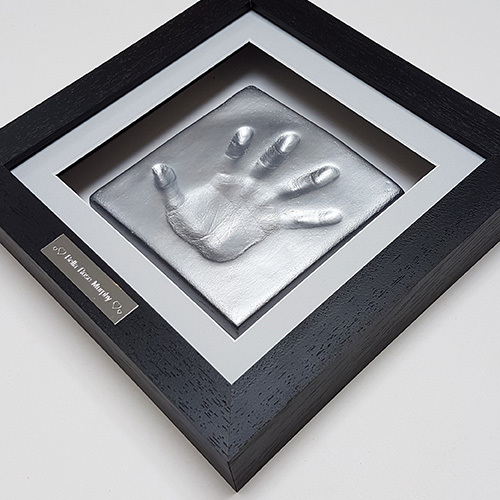 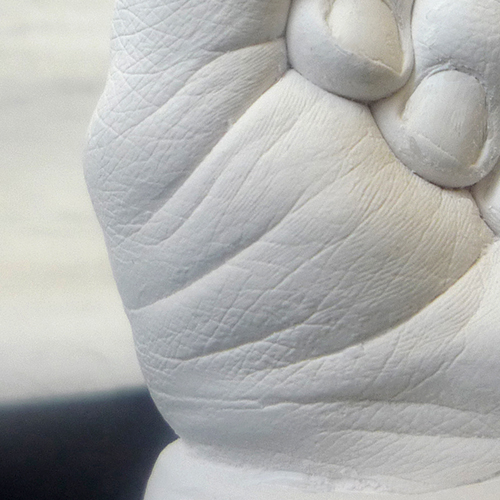 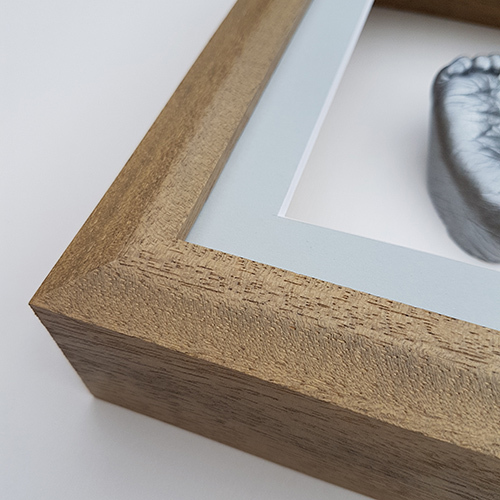 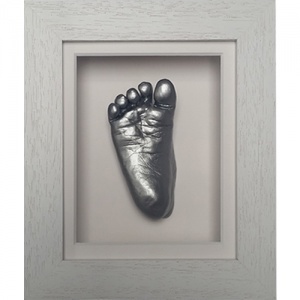 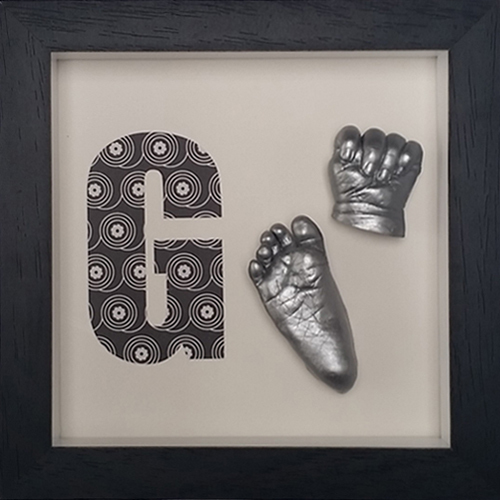 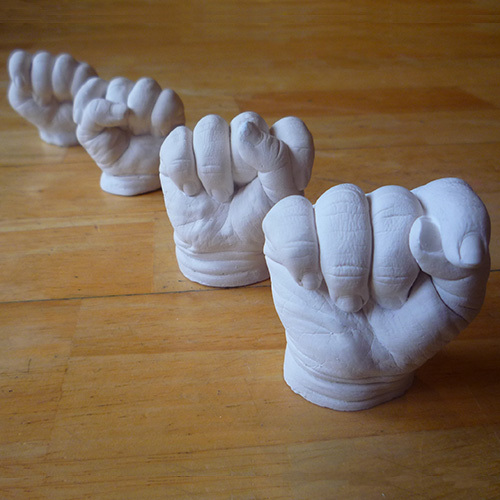 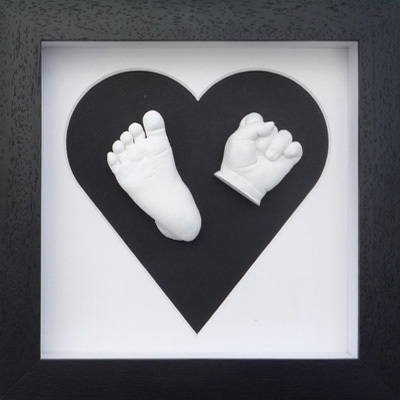 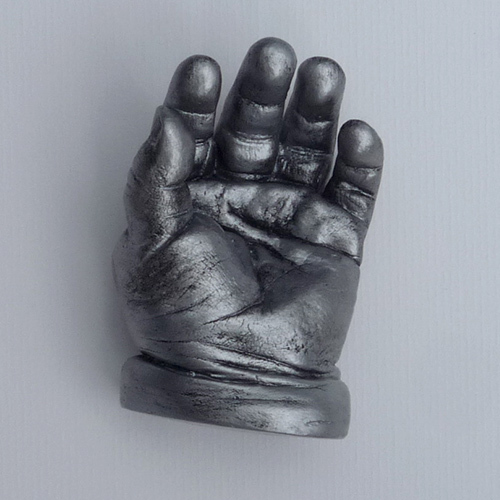 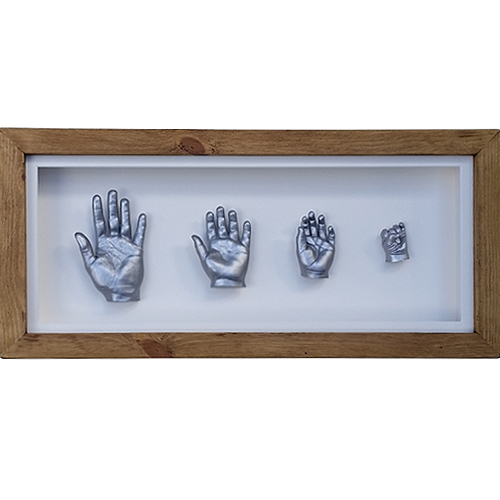 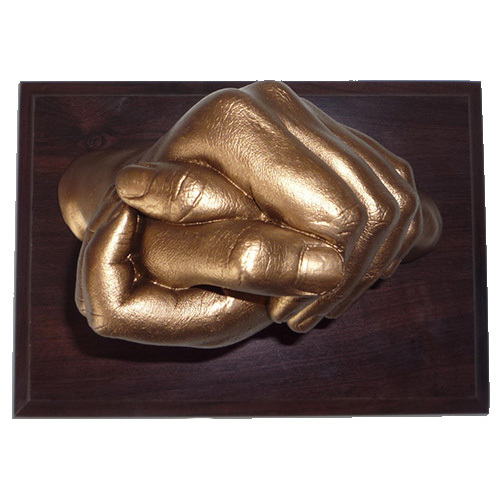 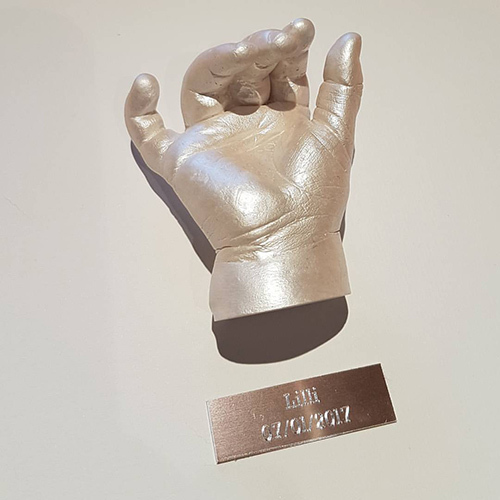 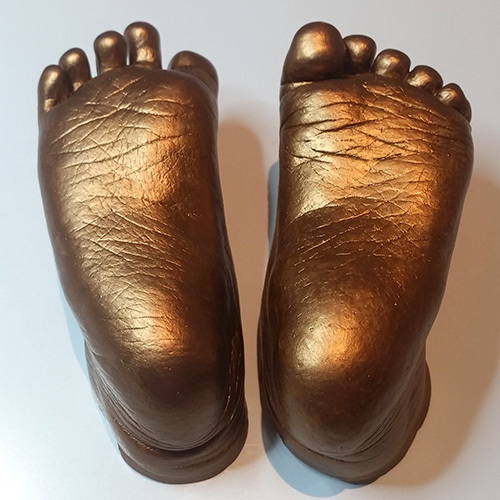 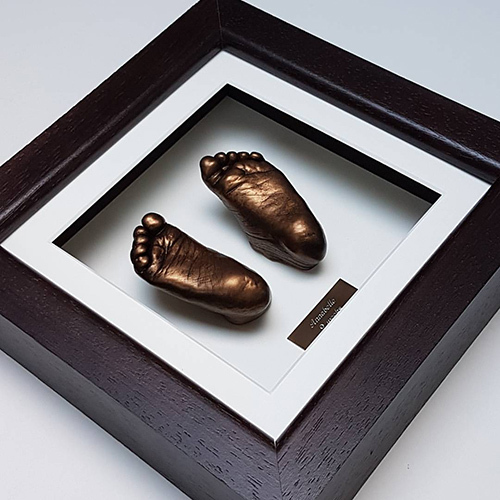 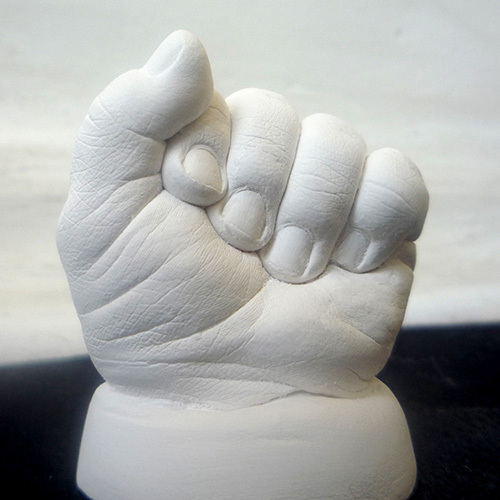 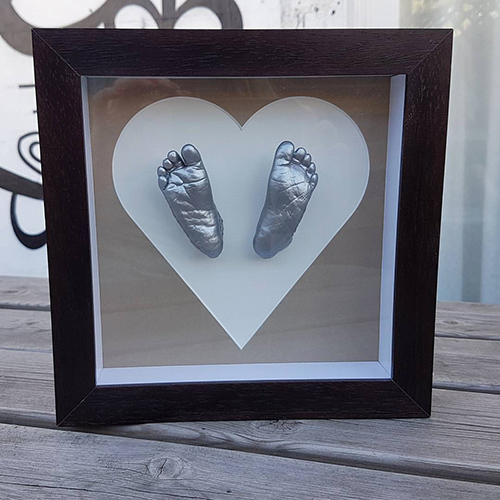 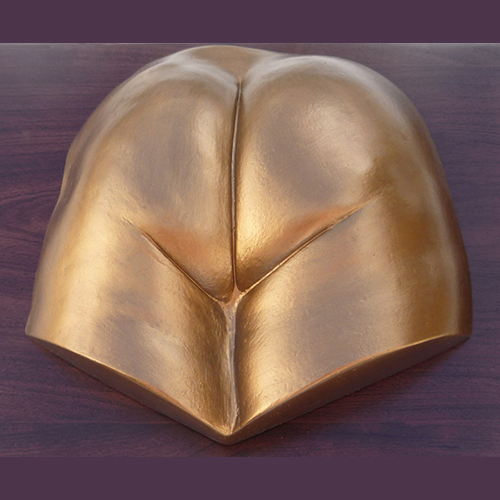 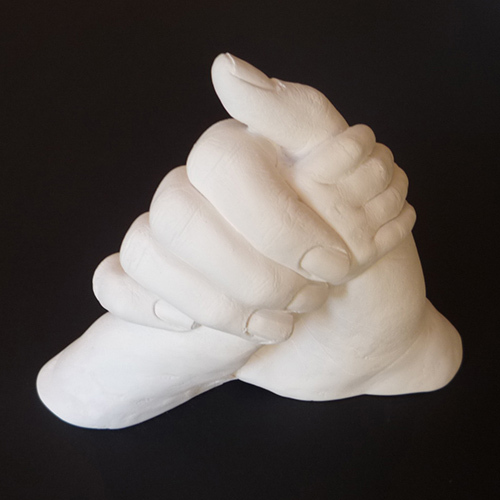 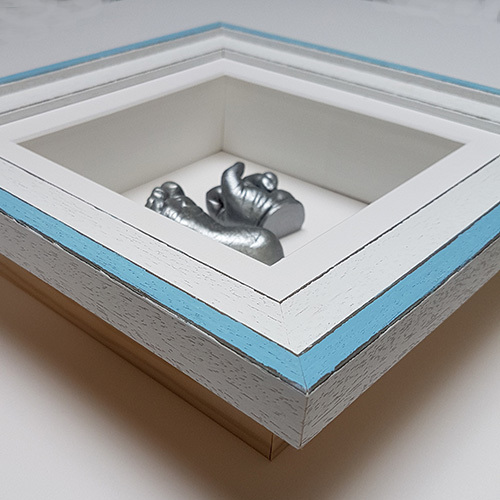 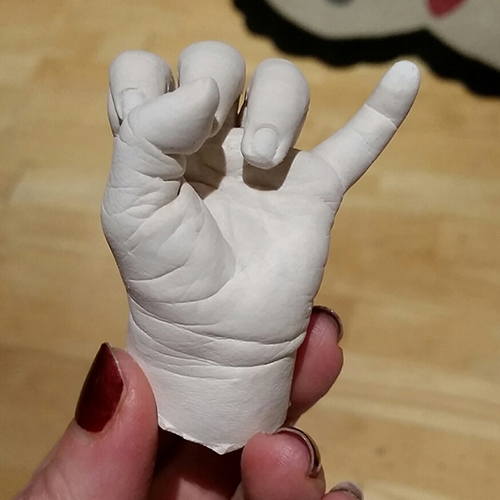 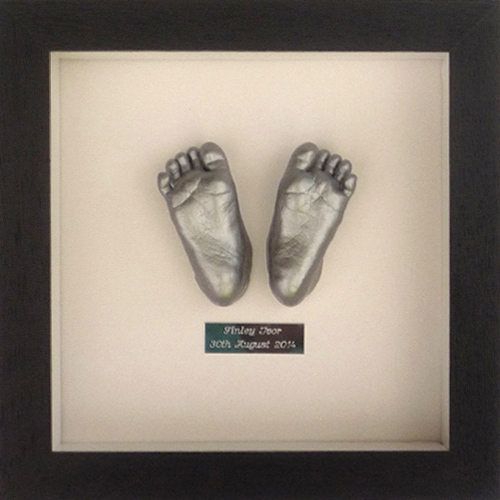 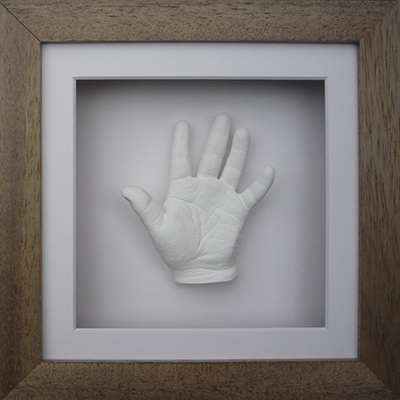 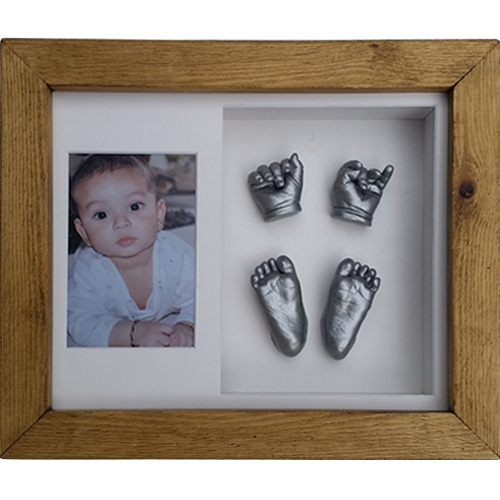 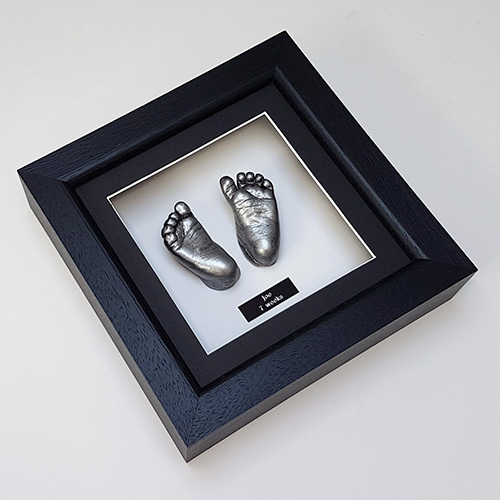 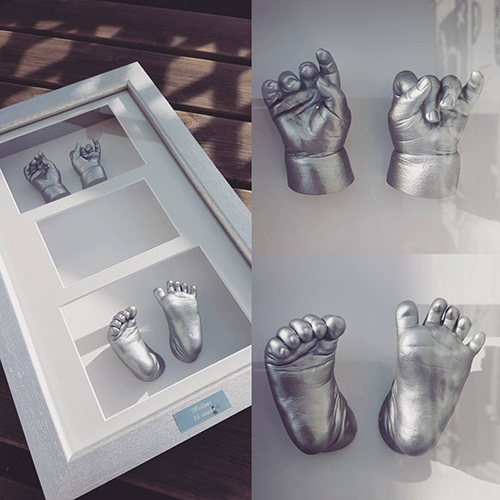 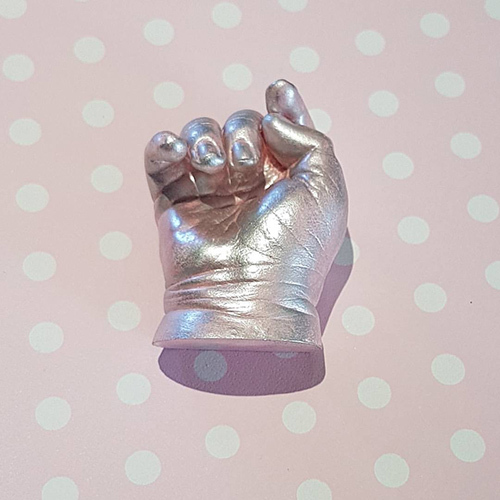 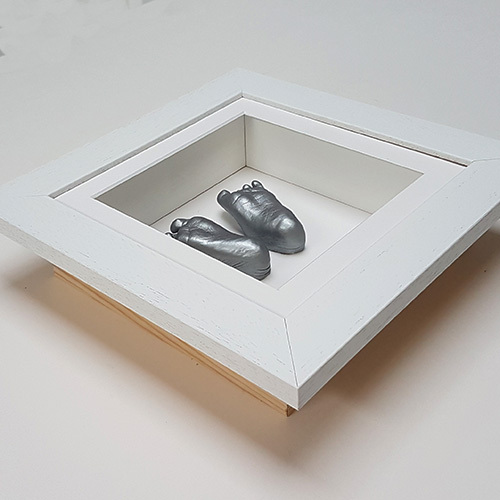 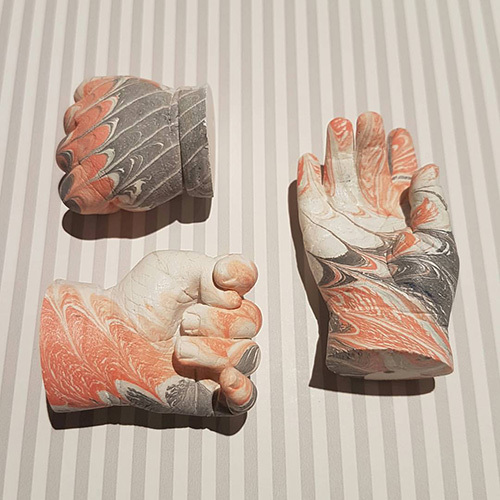 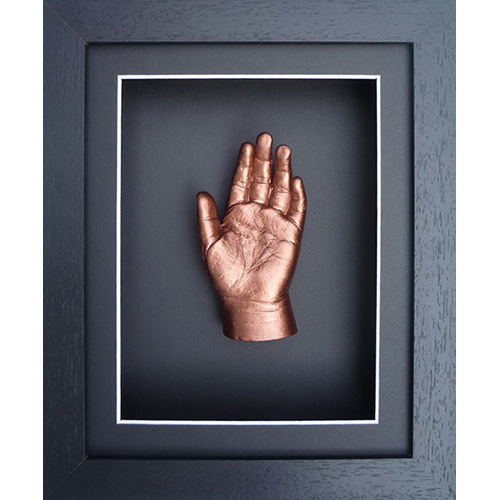 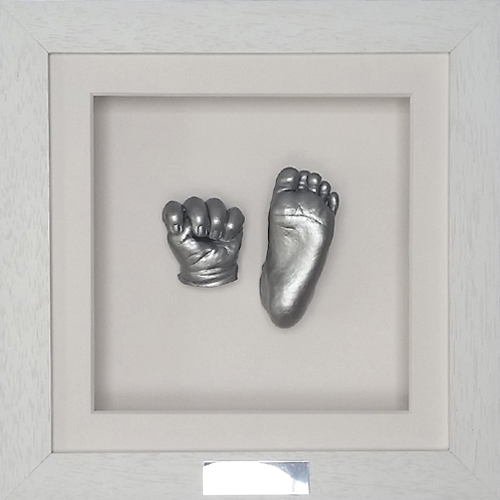 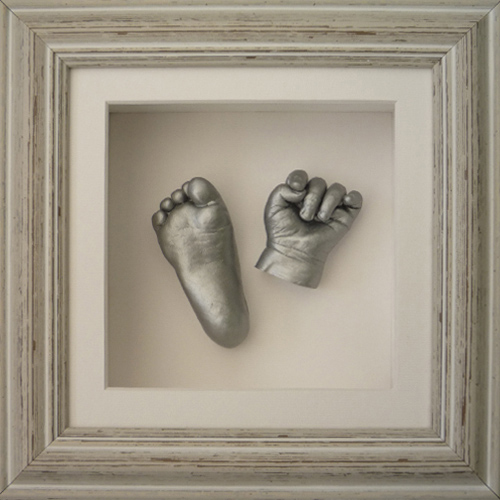 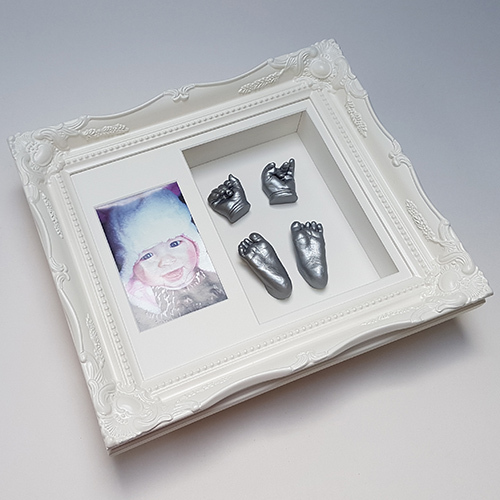 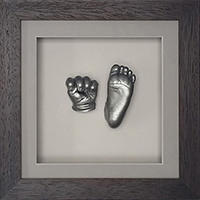 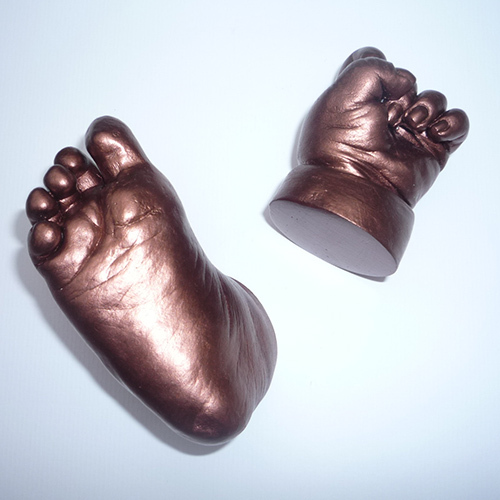 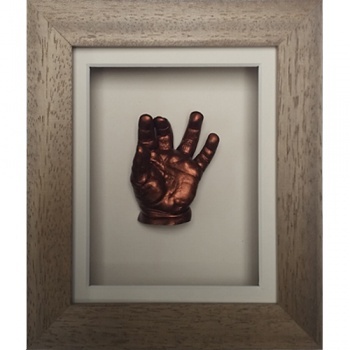 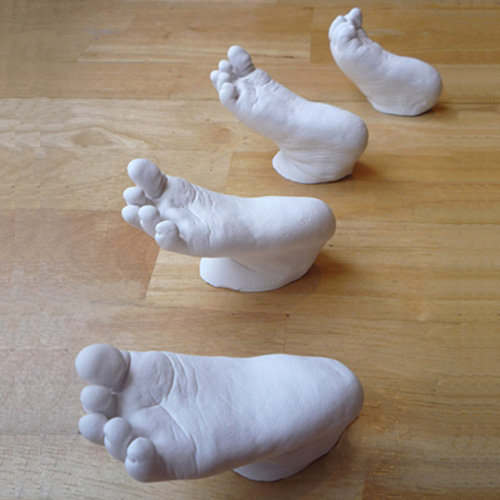 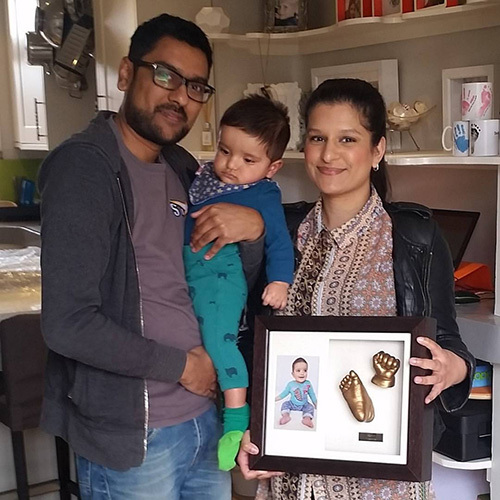 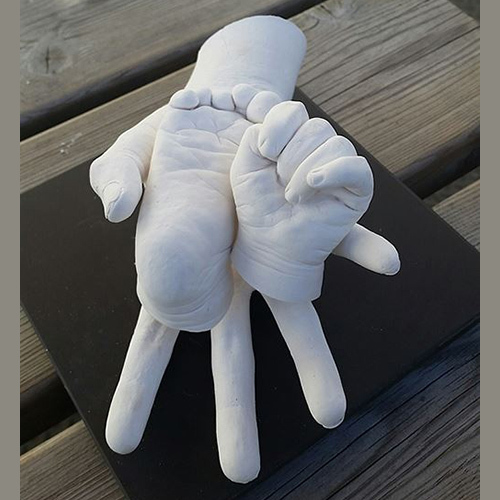 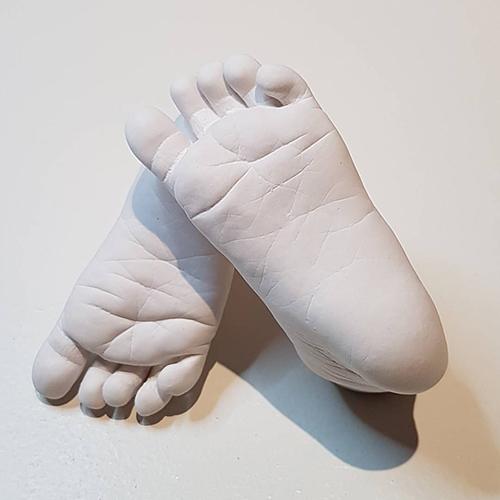 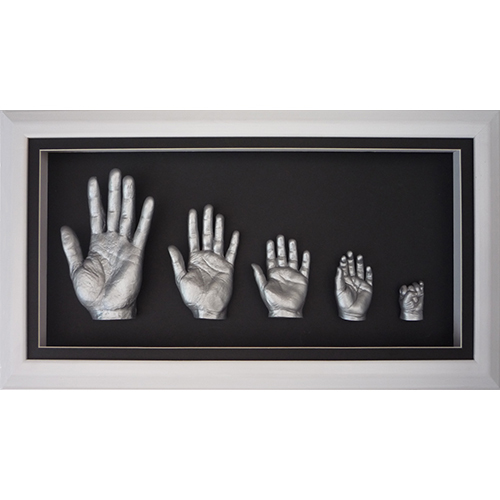 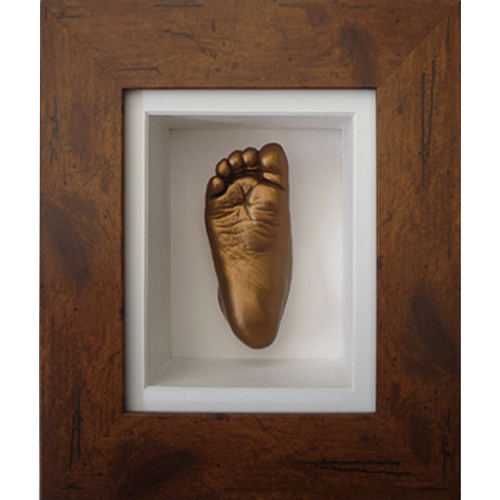 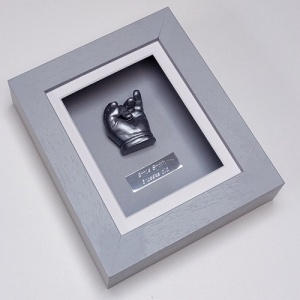 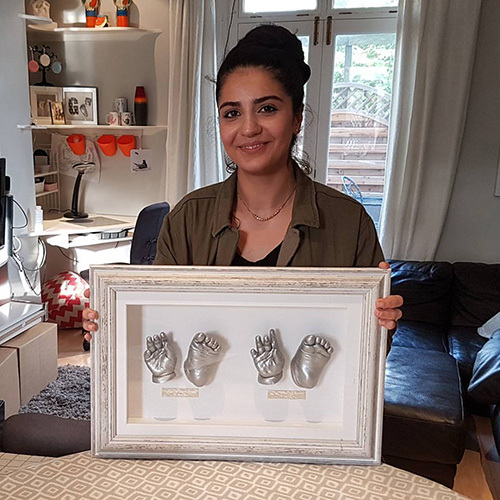 A baby casting kit with a 6x5" box frame with front mount including materials for up to 4 hand or foot casts with your choice of paint. 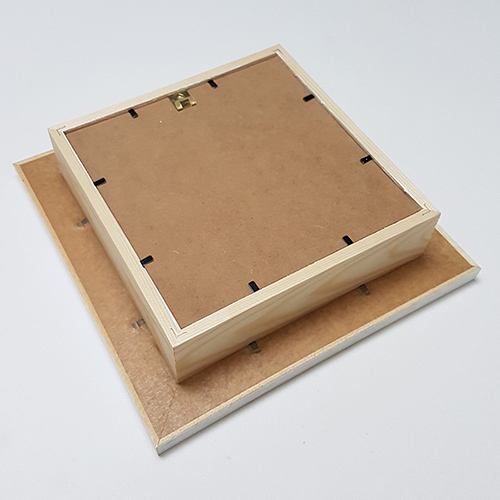 Perfect for Dad's desk at work or a bedside table this kit gives you enough materials for 4 casts and comes with a hand made 6 x 5" box frame that can free-stand. 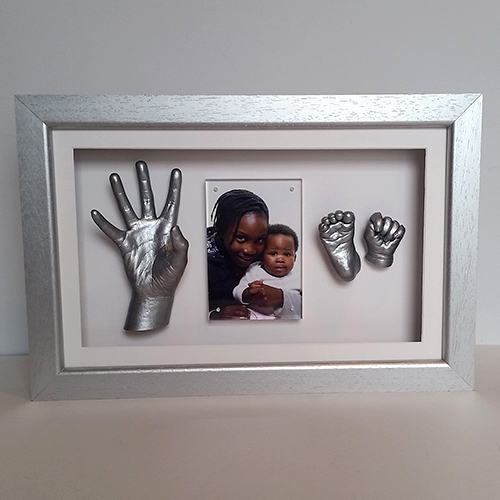 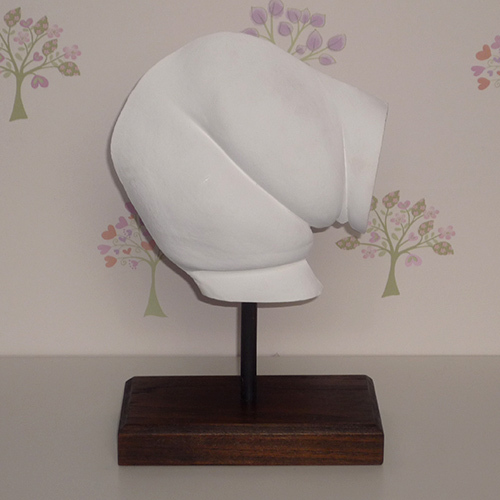 A lovely gift to make and present to Dad for Christmas or on his birthday. 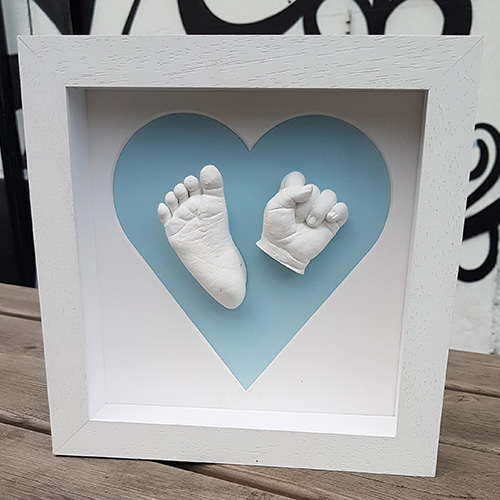 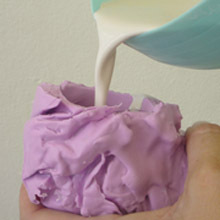 This is also a lovely kit for making gifts for new grandparents or godparents and it weighs under the Airmail weight limit of 2kg so can be posted outside of the UK. 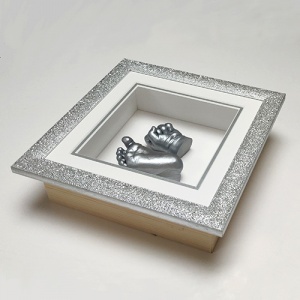 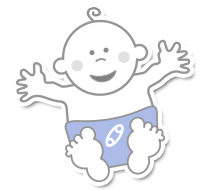 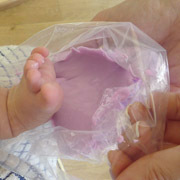 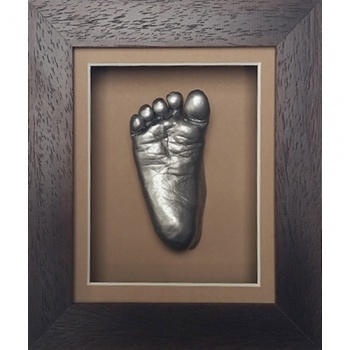 Display area measures 12.3 x 9.3cm, enough for 1-2 baby's feet/hand or 1 hand of an older child. 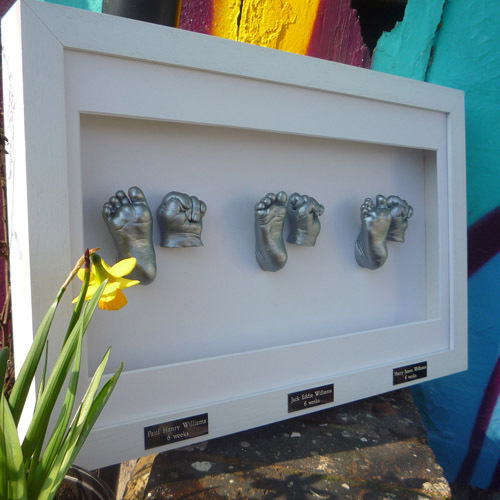 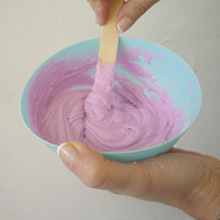 Please measure your child's foot/hand to check it will fit the frame. 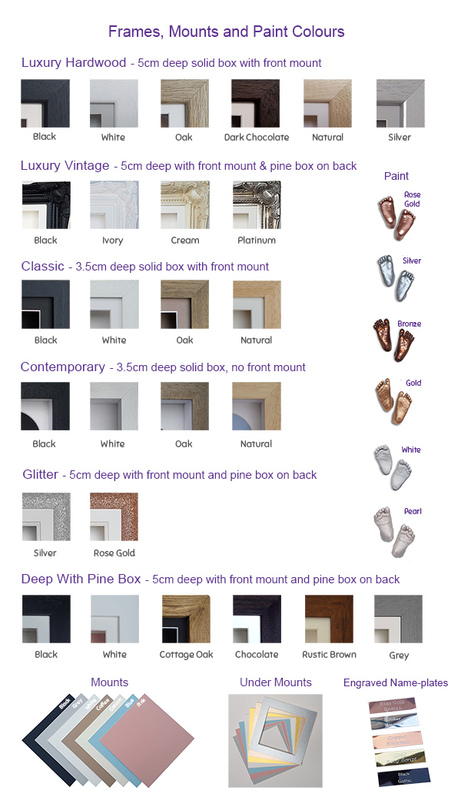 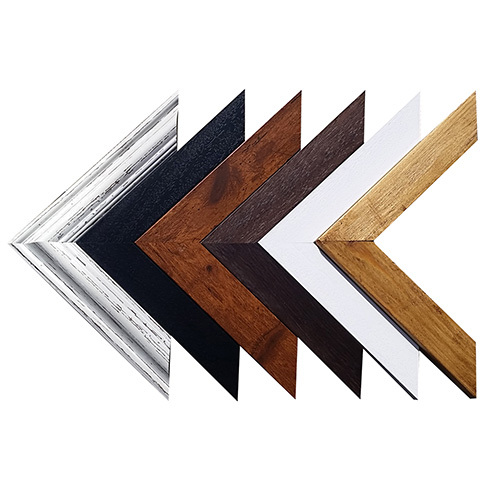 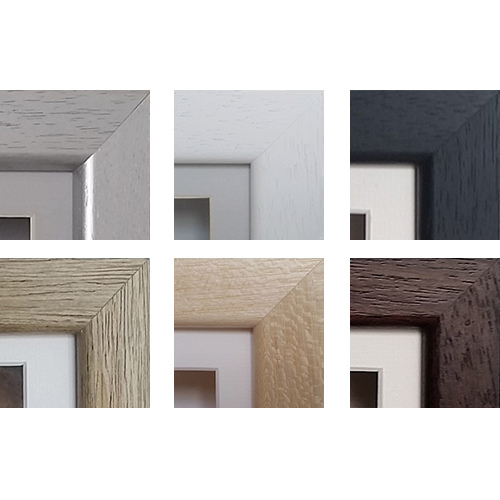 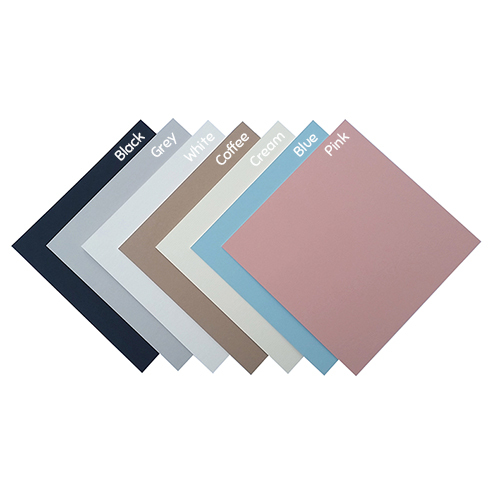 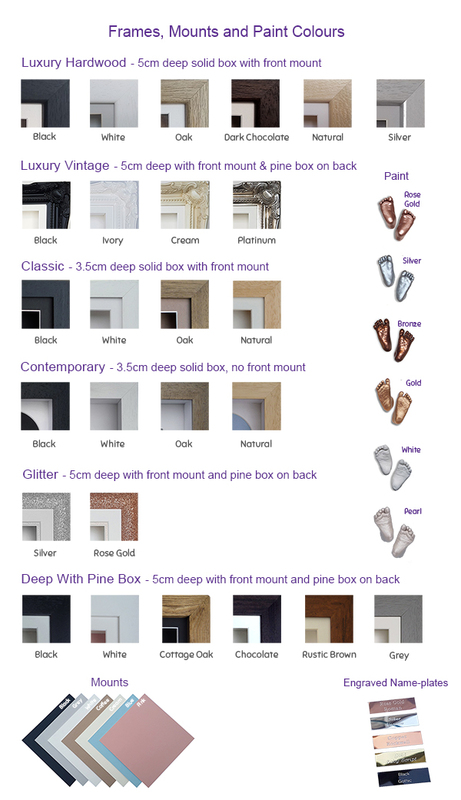 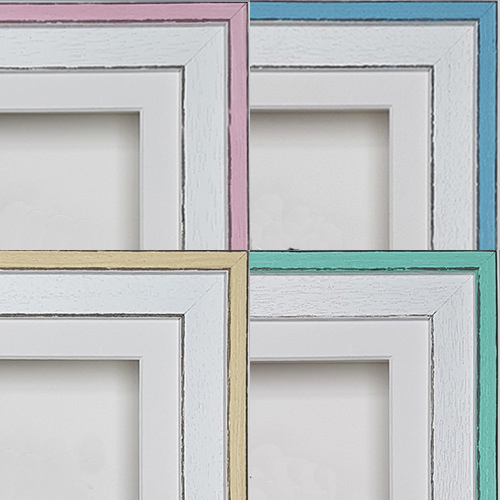 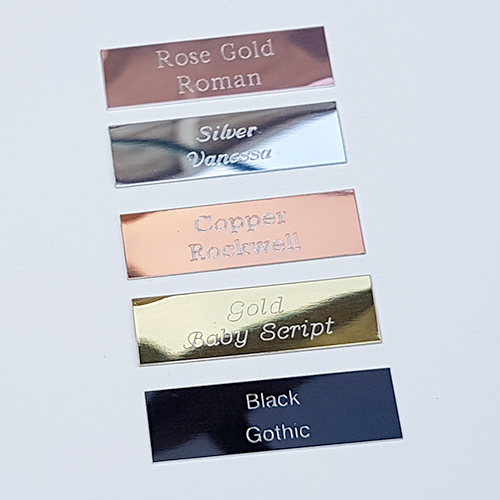 You can optionally add an engraved name-plate to your order to stick to the wooden frame edge.